Margaret “Peggy” Sylva passed away suddenly at her home on March 20, 2018. Peg was born in Everett on January 26, 1951 one of five children of Margaret M. (Flynn) Sylva and the late Gilbert Sylva. 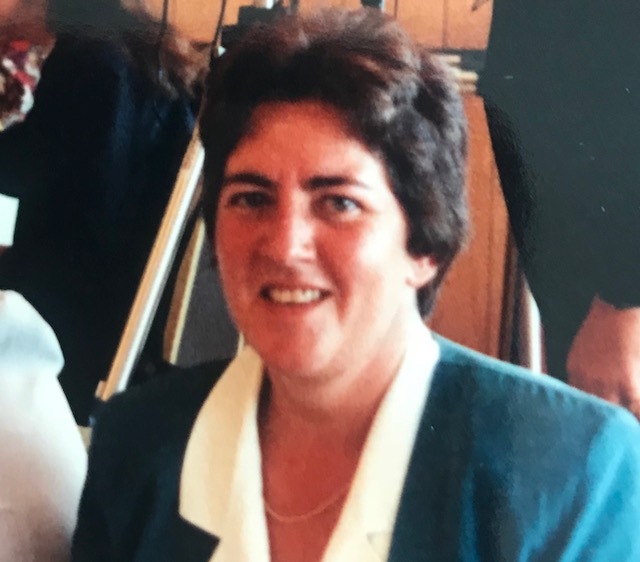 Peggy grew up in Everett attended the Immaculate Conception Grammar School and Everett High School. Peg graduated from the Whidden Hospital School of Nursing and then continued her education at Saint Joseph’s College in Maine where she received her bachelor’s degree. Peg worked as an RN at Cambridge City Hospital for over 30 years. She loved skiing and playing softball. She was the daughter of Margaret (Flynn) Sylva and the late Gilbert Sylva. Peggy was the sister of John and his wife Roberta of Mansfield, Anne Doron and her husband Frank of Everett, Gilbert and his wife Sandra of Malden and the late Steven and his late wife Arlene and she is also survived by nine nieces and nephews. Besides her family and friends; Peg had two great loves her dogs Torry and Haley. Funeral from the Murphy O’Hara Funeral Home 519 Broadway Everett on Wednesday at 9am followed by a Funeral Mass in the Immaculate Conception Church at 10am. Visiting hours on Tuesday from 4 to 8pm. Interment private.